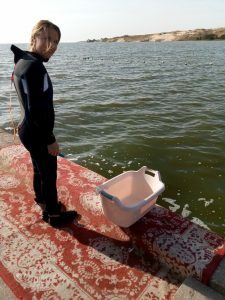 At the end of the growing season the plants of the “living barrier” pilot installation in Nida, Curonian lagoon, were harvested and are now in the laboratory for nutrient analysis. 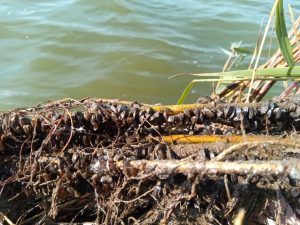 Surprising was the large amount of zebra mussels attached to the roots. This adds to the total nutrient removal capacity of the floating installation: Nutrient concentrations in the mussels are approximately 1% nitrogen and 0,1% phosphorus. 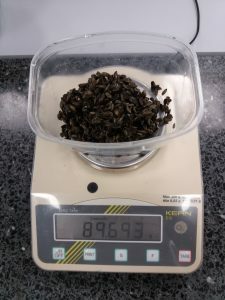 Over only two summer months an average of 54 g mussels was attached to a single twig of a willow, which could be converted to 540 mg of nitrogen and 43 mg of phosphorus.